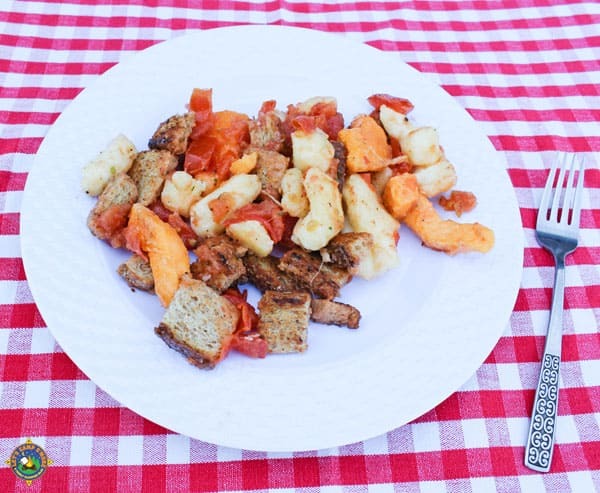 Enjoy this recipe that we call Cheese Curd Toss on your next camping trip. Tastes great at home too! Diana: I need dinner ideas…. Diana: stop joking, I need meal ideas. Cheese is not just a snack food. It can be incorporated into a main dish. 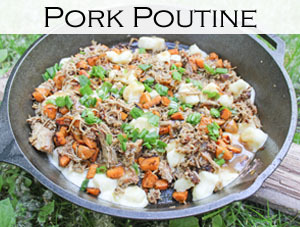 The French Canadians do it with Poutine, but in northern Illinois and southern Wisconsin we use curds a little differently, we make a Cheese Curd Toss. 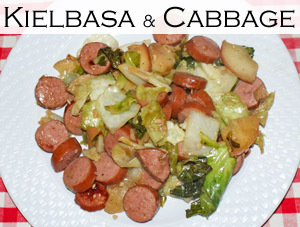 Though you cook or heat most of the ingredients this is more of a lighter meal. It incorporates two of my favorite things, Cheese and Basil paste! 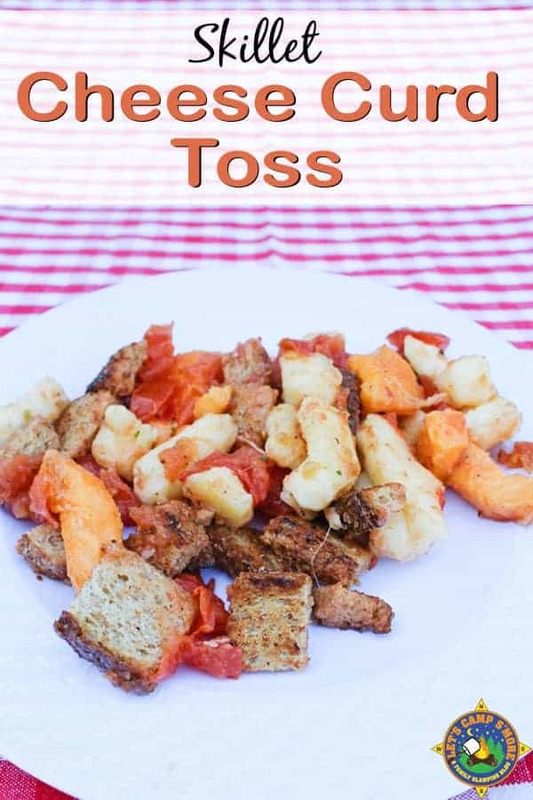 It is basically toast, cheese curds, and fresh tomatoes tossed in olive oil and basil paste. I also use a little garlic and even some onion flake to give it a little pop. Toast the toast, NOT IN THE TOASTER! Gosh, put some olive oil in a pan and heat it up and toast the toast as if you are making grilled cheese, though you don’t put the cheese on and you toast both sides of the bread. I use 2 to 4 pieces depending on the amount I am making. Pull the toast out and let it cool and become crisp before cutting into bite size chunks. Cut the tomato and remove the slimy part with the seeds. Flash that in the pan with just a bit of olive oil until warm. No need to cook it down nor reduce it, just warm it up. Put the olive oil, basil paste, garlic, and a few shakes of onion flake in a large bowl and stir it up. Add the cut up toast and the tomato. Hang on, not quite done yet. In the same pan with warm olive oil toss the cheese curds around, you are not trying to melt them, just get them a little warm and the outside just a little crisp. If the cheese is starting to melt remove it immediately. Add warm cheese to the rest of the stuff and toss it all around. Serve warm, or cold. Delicious! Enjoy this tasty main dish that stars cheese curds. Heat up about 1-2 Tbsp of olive oil in the skillet. Place in the bread and toast it up on each side. Pull the toast out and let it cool and become crisp before cutting into bite size chunks. Cut the tomato and remove the slimy part with the seeds. Flash the tomatoes in the pan with just a bit of olive oil until warm. No need to cook it down nor reduce it, just warm it up. Put the olive oil, basil paste, garlic, and a few shakes of onion flake in a large bowl and stir it up. Add the cut up toast and the tomato. 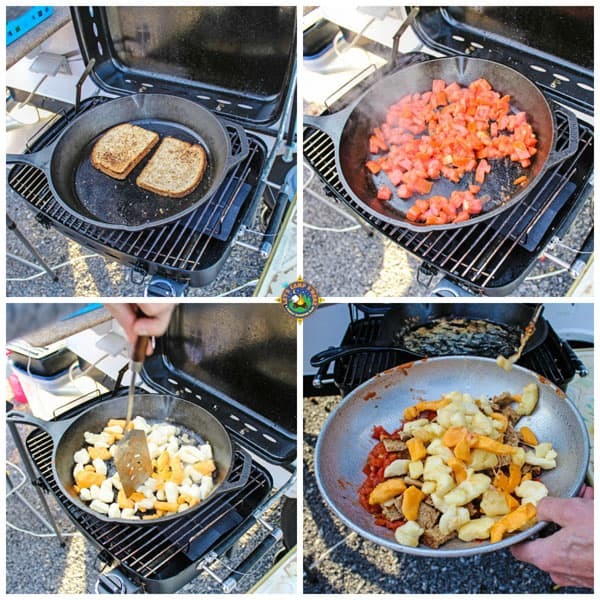 Heat up some more olive oil in the skillet and toss the cheese curds around, although you are not trying to melt them, just get them a little warm and the outside just a little crisp. If the cheese is starting to melt remove it immediately. Add the warm cheese to the bowl and toss all ingredients together.